Imagine stepping through an ancient door, to enter a house where time stood still. It looks like a museum, but it isn’t. Instead, this 230-year-old farmhouse is fully restored and adapted to rent to visitors who like to have a unique experience in Slovenia in the 21st century. Welcome to the Dormouse house in Southern Slovenia! The Dormouse house was built back in 1791. Back then, it’s surroundings were very different from today. In front, there was a humble dust track and the entire village consisted of only a few farms. It is still only a small village today, but new homes have been build in the surroundings and the road is asphalted. Other old houses have been altered, and all straw roofs are replaced by roof tiles. Not this one though. It was bought by Janez and Alojzija Mihevc, back in 1964. With a passion for historical monuments, they took it upon them to restore the house as much as possible in its original state. The house doesn’t only look like a museum; for many years it actually was one, because it housed the collection of authentic Slovenian Dormouse traps from Janez Mihevc. This collection later moved to the Snežnik castle, where you can still see it today. The family continued to use the house as a weekend cottage and daughter Breda Kus took over maintenance. Together with granddaughter Jana Kus Veenvliet and her husband Paul Veenvliet, they will start renting it out the Dormouse house as a very special accommodation for visiting naturalists. It was great-grandson Lars Veenvliet who thought of the name “Dormouse house”, and because of the history as a dormouse-trapping museum, everyone immediately agreed with this name. The Dormouse house is built out of solid limestone rocks, which have been collected in the immediate surroundings. Its walls are over one meter thick in places. these thick walls cool down only very slowly, but they warm up equally slowly. In the centre of the house, there is a traditional wood stove. This stove produces a pleasant heath and in the past, children slept alongside or even on top of it on cold winter nights. Sometimes they baked bread and simple dishes in the stove. It is also possible to bake the best home-made pizza’s inside this stove: ask Jana and Paul! From the hallway, you enter the main room which functions as a living room, dining room, and master bedroom. This is also where the comfortable wood stove is. 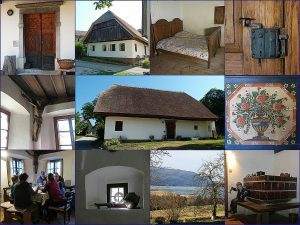 The room has a beautiful authentic wooden ceiling and windows with a view over the Cerknica valley. When you open these windows on a summer evening, you can hear corncrakes calling in the distance! From the main room, a doorway leads to a smaller room, which functions as a children bedroom. Conveniently, one side of the wood stove is a part of this children’s bedroom as well, so it is heated at the same time as the main room. The children’s bedroom has a window with the same view over the valley. However, it has a very different roof: instead of a wooden ceiling, you look up to a high arched stone ceiling! Dormice sleep soundly. 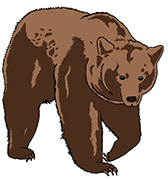 In winter, they hibernate for seven months or even longer, which they only interrupt for short sanitary breaks. Even in summer, they sleep all day and do not get up until well after dark. Then, after only a few hours of intense activity, they return to sleep. Originally, the house had no electricity and the toilet was a wooden structure, outdoors. You may know the type, with a small heart-shaped opening in the door. In order to provide a comfortable living place, the house now has electricity and a bathroom. This bathroom is equipped with modern toilet and a shower. We also added an electric heating panel in the main room, which provides a comfortable temperature much faster than the wood stove can. Without this, someone would have to keep the fire going throughout the day … As the latest addition, a WIFI internet connection will be added shortly. However, we carefully consider the benefits of any of these additions, because our primary objective is to maintain the historic aspects of the house. Because of its authenticity, the Dormouse house is officially listed as a Cultural Monument. The attic isn’t a place where we often go, but it is a very important part of the house. In summer, a colony of Lesser horseshoe bats uses this place to raise their young. You won’t notice much of these bats unless we go upstairs to see them. However, because of these bats, the Dormouse house and its surroundings are designated as a special area of conservation under the Habitats Directive of the European Union. 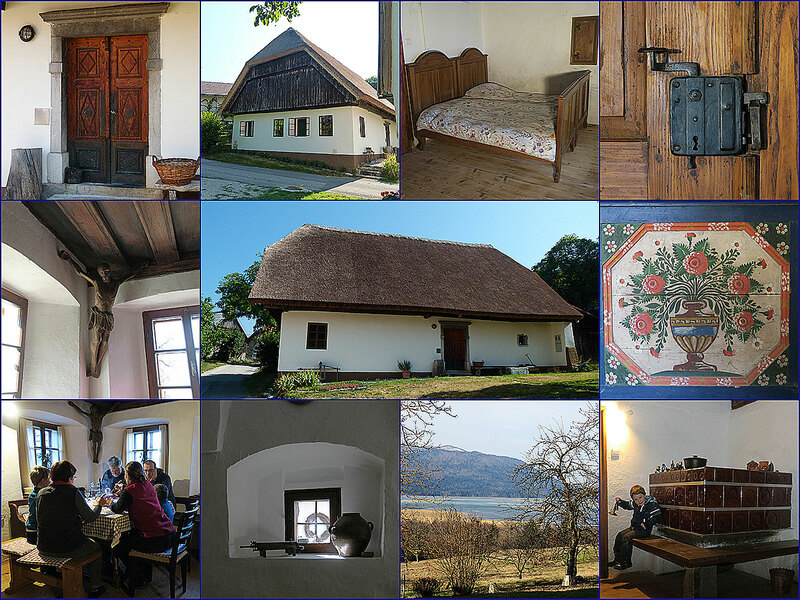 The Dormouse house is situated in the middle of the small village of Goričice. Freely translated the name of the village means “the Place which Burns”; legend tells that this is where witches were burned in the old days. Goričiče lies at the edge of the Cerknica valley in southern Slovenia. The village is quiet and consists of several older farm-houses and a number of modern living houses. Here, you will not be disturbed by night-sounds as there are no shops, bars or busy streets! In fact, the closest by shop is about one-hour hiking in another village (4 km). From the Dormouse house, you can easily hike into the Cerknica polje, which is where you find the famous intermittent Lake Cerknica. This is a beautiful wetland, which is a RAMSAR site as well as IBA (Important Bird Area) and the core-are of theNotranjska regional park. On the other side of the village, you can hike into the Dinaric forest, which is part of the largest forest complex in Central Europe. The forest is home to many animals and plants, including Brown bear, Lynx and Wolf, and, of course, Dormice. The impressive Križna jama, the Cross cave, is also on hiking distance, although you will need a good hour to get there (6 km). In summer, this cave is open for visitors on fixed hours and you can choose between a shorter one-hour visit and a longer visit (on appointment only) which takes about 4 hours. For more information see the website of Križna jama. Within half an hour driving you come to Snežnik castle, where the Dormouse hunting collection is now housed. On a similar distance, but in the opposite direction, you find the spectacular Rakov Škocjan gorge. In addition, the Postojna cave, Predjama castle and Škocjan caves are all within easy driving distance. From the Dormouse house, it will take you less than an hour drive to reach Ljubljana; the capital of Slovenia. Most of the natural areas which we describe on this website are also nearby. In this way, we can offer a unique combination of sleepovers in the Dormouse house and our one- or several day tours, guided by Jana and Paul! Let us take you to the Maple Mountain Javorniki, go hiking to the Botanical reserve on the top of mount Snežnik, the highest Slovenian mountain outside of the Alps or show you secrets of intermittent Lake Cerknica. Depending on the season, we can go birdwatching, photograph butterflies in meadows full of flowers and hike in the endless forests. Or, can also show you the Slovenian coastal area where the climate is markedly different and you will find many different species of animals and plants. Contact us for more information about the possibilities and the price of our day trips for our guests. How to reach the Dormouse House? By car, it takes 15 minutes to reach the Dormouse house from highway A1 (Ljubljana-Koper). Take exit Unec and follow plates to Cerknica. Past Cerknica, just follow the main road until you come to village Grahovo. Here, you turn right to the direction of Žerovnica. Again, follow the main road through the villages Žerovnica and Lipsenj. When you see the road sign for the village Goričice, turn left on a smaller asphalted road uphill. In the village, look for the only house with a straw roof, on the left-hand side. When you use navigation, please take into account that there are several villages with the same name in Slovenia. You need to go to the one near Cerknica, with postal code 1395. By public transport, there is a direct bus line from the centre of Ljubljana, which passes Goričiče. The bus ride takes aproximately one hour and a half and there are 5 busses each day. For bus departure times, please see https://www.ap-ljubljana.si/en/ Note that the name of the village Goričice is here written as “Goričica pri Cerknici”. From the Ljubljana (Brnik) airport, it takes a little over one-hour driving to Goričice. Alternatively, you can take a bus to the centre of Ljubljana and from there the direct bus line to Goričice, or book the shuttle bus at GoOpti to highway exit Unec, where we can come to pick you up. Due to the terrific insulation of the natural stone walls, no air conditioning is needed to keep the house pleasantly cool in summer. Please note that smoking is not allowed in the Dormouse House. The Dormouse House is available for rent from the beginning of May until the end of September. How to book the Dormouse House? You can book the Dormouse house for your holidays directly at Jana and Paul, who are also the nature guides behind the Nature in colour website. We plan to rent out the Dormouse house from May 2019 onwards. For booking and information, please contact us! Additionally, we charge a cleaning fee of 25,- € for the entire stay. Dogs are allowed. The fee is 5,- € per dog per night. We kindly ask dog-owners not to allow dogs on the beds and chairs. 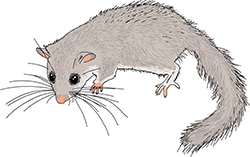 If you would like to take other pets to the Dormouse house: please contact us. Combine your stay with our hiking tour!